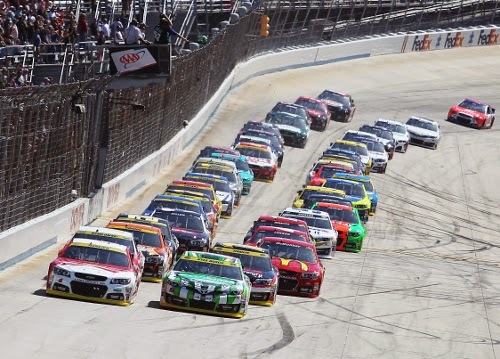 Jeff Gordon took the checkered flag in Sunday's AAA 400 at Dover International Speedway, but four other drivers got the axe in the first Chase for the NASCAR Sprint Cup elimination race in the history of the sport. The Chase Challenger round is history. Bring on the Chase Contender round. AJ Allmendinger, 2004 series champion Kurt Busch, Greg Biffle and Aric Almirola missed the cut for the next round of the Chase, as the field was pared from 16 drivers to 12 following the third and final Challenger Round race. The points for the Contender Drivers have been reset to 3,000. Any Chase driver who wins at Kansas, Charlotte or Talladega will advance automatically to the Eliminator Round. The Chase field will be reduced from 12 to eight drivers at Talladega. 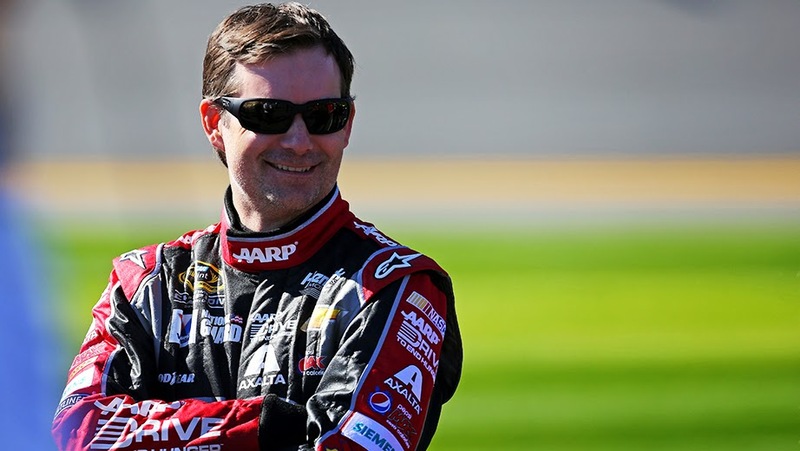 in the Chase For The Sprint Cup narrowed from 16 to 12 contenders. Next: Kansas Speedway in Kansas City - the Hollywood Casino 400 on Sunday, October 5. Coverage begins on ESPN at 1 p.m. ET and the race is scheduled for 2 p.m. ET. When Tony Stewart appeared before the cameras yesterday, his deportment was quite subdued. 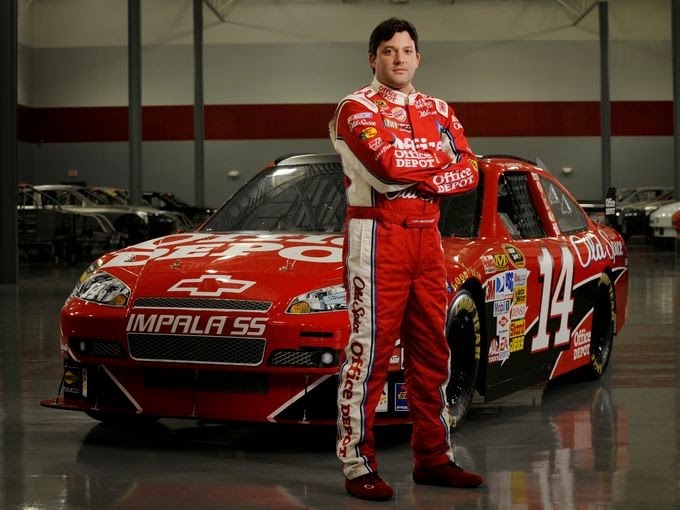 Anthony Wayne "Tony" Stewart, a three-time Sprint Cup champion, the 1997 Indy Racing League (IndyCar) champion and the 1995 USAC Triple Crown champion and now a NASCAR team owner, stated that he regretted ever racing a sprint car that night. "I'd have stayed at Watkins Glen that night," Stewart said, referring to the location of that weekend's NASCAR race. "I do this stuff and I go run those cars to have a good time and that's all I wanted to do that night. … I do it to have fun, and it didn't end up being fun that night." Stewart went on to comment compassionately in regards to Ward's family. "I want to be available to them," Stewart said. But he added, "I don't need to talk to them for closure. ... I know it was an accident." The family of Kevin Ward Jr. issued a statement over the weekend suggesting that prosecutors treated Stewart lightly because of his status in the racing world. The Grand Jury determined Ward Jr.’s death was an accident. 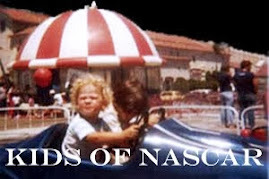 "Tell me how a NASCAR star totally forgot what caution means," Wendi Ward wrote. Wendi Ward is Kevin’s Aunt. "Maybe he should get a different headset so he is able to hear on the radio that the car in caution is up high, so go low. Or was he low until he rounded the corner and saw Kevin Jr. standing up for himself?" Ward's aunt also questioned why a toxicology test was done on her nephew. The test found marijuana in Ward's system. Stewart declined to address the marijuana finding, stating only "Honestly, for me it doesn't change anything," he said. “It’s not about picking sides. A young man lost his life. His family is in mourning. My family is in mourning,” Stewart said. Stewart reported that in the days right after the fatal accident he didn't care if he showered and had to force himself to eat. "Hopefully, through this I will somehow be a better person," he philosophized hopefully. 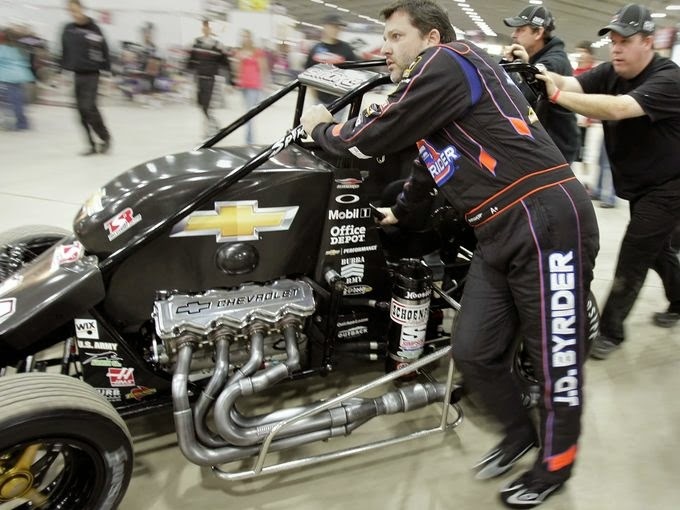 Tony Stewart made the decision not to race the three races after the fatal accident. 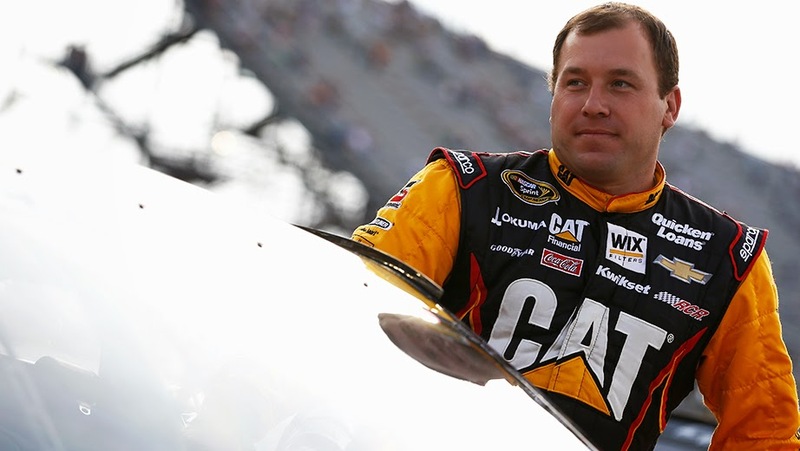 He did not qualify for the coveted NASCAR Sprint Cup Chase. Michael Waltrip and Emma Slater danced Waltz on Dancing with the Stars 19 on Monday, September 29, 2014. Music was “Everything I Do I Do It For You” by Bryan Adams. Waltrip’s best dance and the judges loved it. “I saw you point at me — you won me over,” said guest judge Kevin Hart. “That was your best dance ever,” said judge Julianne Hough. “It really shows that you worked,” said judge Bruno Tonioli. The judges gave them a total score of 28. Dale Earnhardt Jr. sent encouraging post-race tweets after AJ Allmendinger and Aric Almirola were eliminated from the Chase for the NASCAR Sprint Cup. NASCAR Sprint Cup Series rookie Justin Allgaier dives into his life on and off the track. 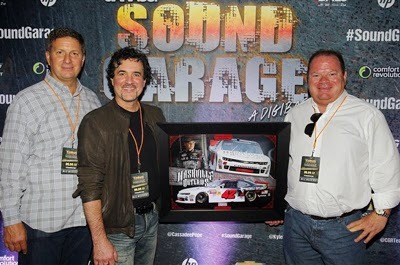 On 09/08/2014, the normal race equipment inside the Chip Ganassi Racing (CGR) shop was moved about and replaced by a medium sized stage, microphones and a sound system. 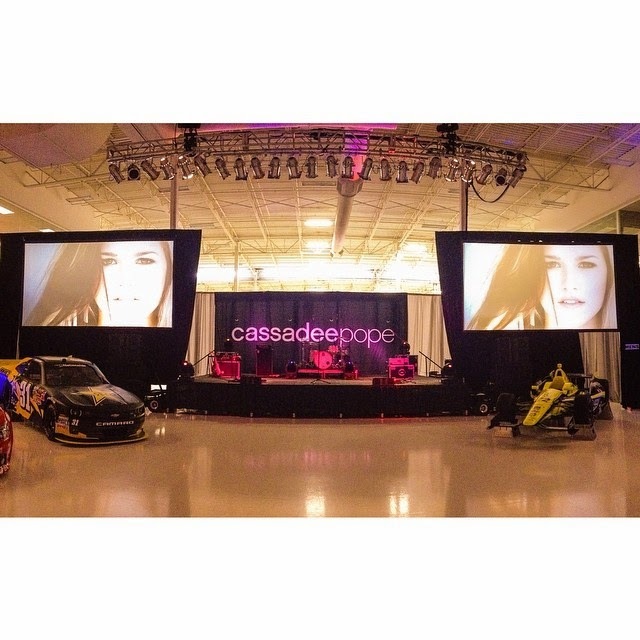 Chip Ganassi Racing invited three hundred social media and millennial* "influencers" to the event, featuring a show by singer Cassadee Pope. Pope won the singing competition, "The Voice" in December of 2012. 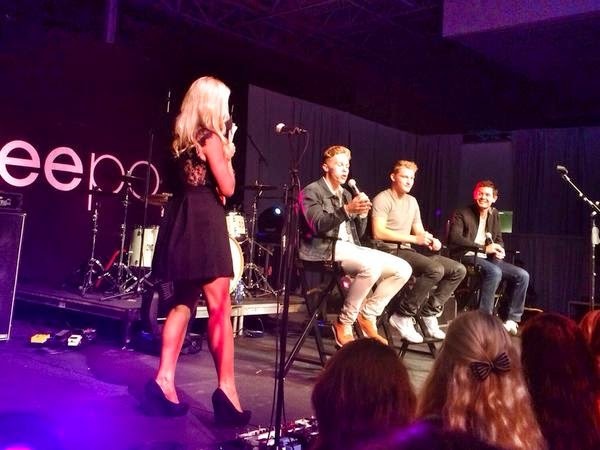 This exclusive happening was hosted by CGR's trio of hot young drivers: NASCAR Sprint Cup Series driver Kyle Larson, NASCAR Nationwide Series driver Dylan Kwasniewski and INDYCAR driver Sage Karam. FOX Sports 1 personality Kaitlyn Vincie served as emcee. 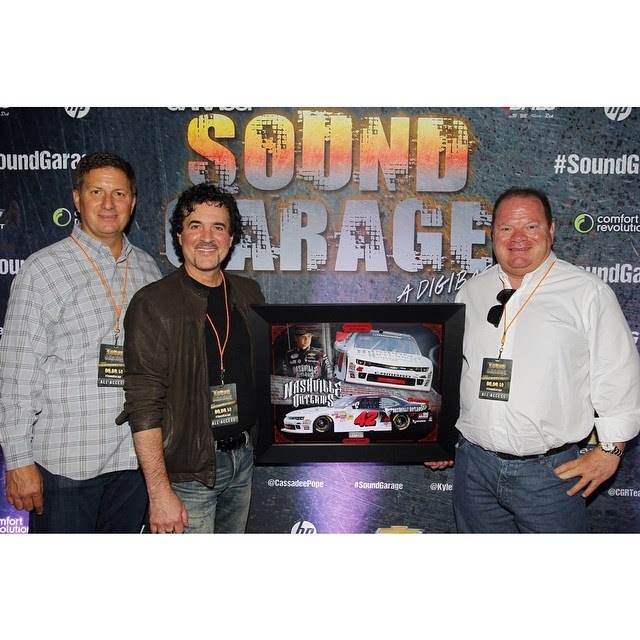 “The Ganassi Sound Garage event was one of the most unique events I've ever attended at a race shop. Ms. Vincie stated. “The goal was to create a social media digital-bash that would bring new fans of the millennial generation to racing. I think that young drivers like Dylan Kwasniewski, Kyle Larson, and Sage Karam are a perfect fit to usher in this new age of fans. The young generation can identify with them. Our sport needs to reach that young demographic to help bring in a new wave of life-long fans . . . and I think those three drivers can help make it happen. 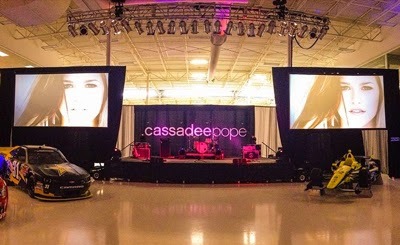 It was very neat to see all the social media interaction with the guests and drivers along with country recording artist Cassadee Pope, you could tell everyone was having a good time. I am grateful I was able to be a small part of it!" A distinctive “reverse" red carpet was utilized for the event. This meant, to the delight of the guests, they were greeted by the drivers as the guests entered. The fans were also treated to photo opts, and engaged in a question & answer session. When the Monday event was over, the big boss, Chip Ganassi, had succeeded in showing the fans just how important they are to his organization. NASCAR Race Mom was able to speak to Dylan Kwasniewski while he was waiting for his bags at the LAX baggage claim. The nineteen-year-old was in town for a meeting with his sponsor Rockstar. During the event, Kwasniewski showed off his lip singing talents, line dancing abilities and his humor with the microphone. Dylan Kwasniewski’s favorite part of the Sound Garage was interacting with the fans; taking photos with them and just having fun. He appreciated the opportunity to take a closer look at his fan base and being more personal with them. Intermingling with the event attendees gave fans the rare occasion to witness his more private side. For those who did not attend, the concert was streamed live on NASCAR.com. 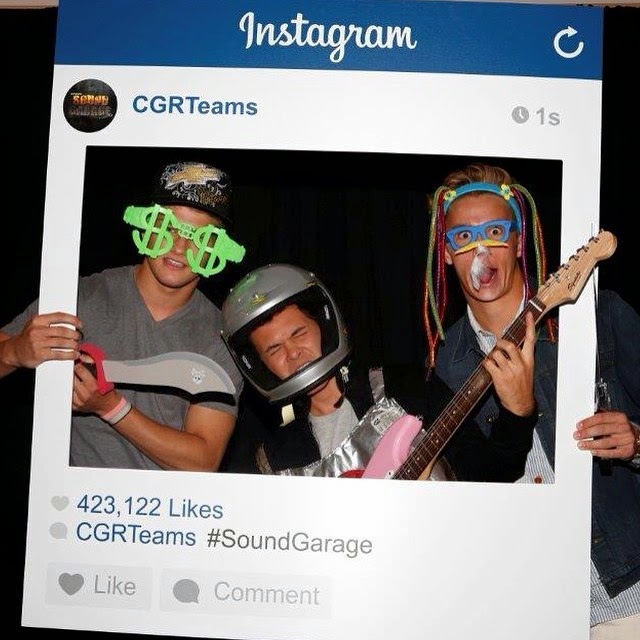 The official event hashtag, #SoundGarage was Trending Topic for eleven hours in Charlotte. “I had a great time hosting and having fun with the fans that came out to the event. 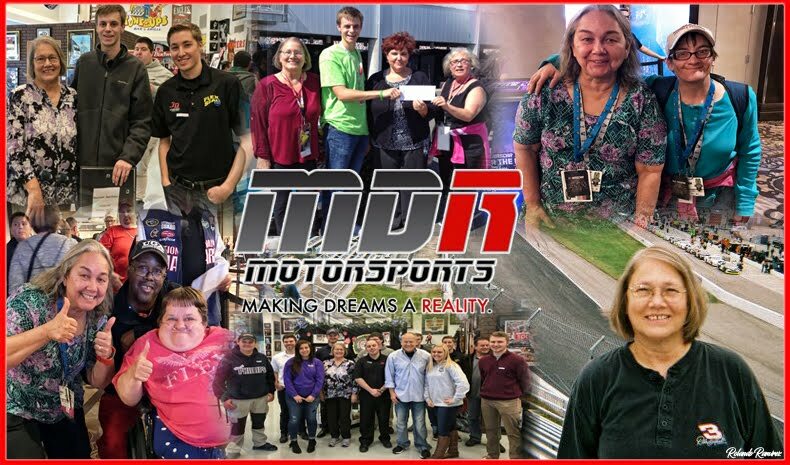 We wanted to get the people that Kyle, Sage and I hung out with outside of racing to get involved with the sport of Indy Car and NASCAR. I hope that we can do it again soon.” added Dylan, who is currently twelfth in the NASCAR Nationwide Point Standings in his rookie year. A fun Kwasniewski fact: The Luxury Item Dylan indulges in? With a chuckle, he quickly answered that clothes and shoes is what he spends his “race earnings” on. Currently, his favorite brand of shoes are called R&R – they have Nike soles. *A millennial, also known as Generation Y are the demographic cohort following Generation X. There are no precise dates when the generation starts and ends. However, researchers and commentators use birth years ranging from the early 1980s to the early 2000s. Chip Ganassi has been a fixture in the auto racing industry for over 25 years and is considered one of the most successful as well as innovative owners the sport has anywhere in the world. Today his teams include four cars in the Verizon IndyCar Series, two cars in the NASCAR Sprint Cup Series, and one Prototype in the TUDOR United SportsCar Championship. Overall his teams have 17 championships and 160 victories, including four Indianapolis 500s, a Daytona 500, a Brickyard 400, five Rolex 24 at Daytona and the 12 Hours of Sebring. Ganassi boasts state-of-the-art race shop facilities in Indianapolis and Brownsburg, Ind. and Concord, N.C., with a corporate office in Pittsburgh, PA.
*Disclosure: This post has been submitted to a NASCAR sponsored program. 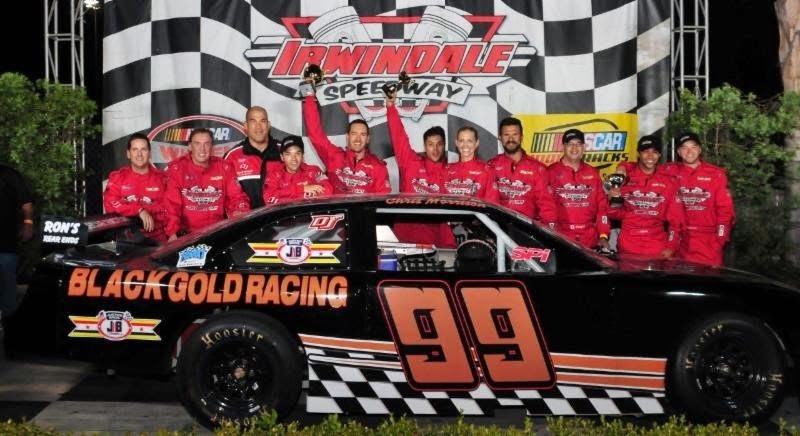 In addition to its regular night of exciting championship NASCAR racing, the Irwindale Speedway hosted a special Celebrity Stock Car Race event presented by Justice Brothers and DJ Safety. Ten well-known names from the worlds of entertainment and business suited up, strapped on helmets, and buckled into boisterous NASCAR-style stock cars (identically-prepared S2 cars) at Irwindale Speedway, located about 25 miles East of Hollywood in front of a crowd of 3,200 fans. Actors Mark-Paul Gosselaar and Erik Valdez went side-by-side for the final five laps. In this race, there were no losers; however, Gosselaar won the 20-lap race, earning $2,500 for the Wounded Warrior Project. Corbin Bleu - "High School Musical," "Dancing With the Stars"
Matt D'Andria - GQ's "Car Collectors," Co-Host "Car Cast"
Brett Davern - MTV's "Awkward"
Mark-Paul Gosselaar - "Franklin & Bash," "Saved by the Bell"
Tricia Helfer - "Battlestar Galactica," "Killer Women"
Nathan Kress - "iCarly," "Into the Storm"
Lorenzo Lamas - New season: "Celebrity Apprentice", "Falcon Crest", "The Bold and The Beautiful"
Erik Valdez - "Graceland," "General Hospital"
It’s not his first stab at being on-screen, but now NASCAR star Austin Dillon can add “starring in country music video” to his list of roles. Twenty-year-old Austin Hill put on a dominating display Friday in the Driver Sober 150 at the Monster Mile. 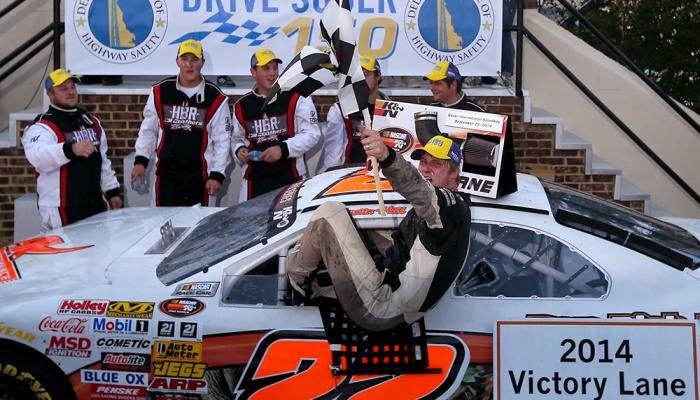 He had recorded his first NASCAR K&N Pro Series East win a year ago at this same track. Hill also won the last race at Greenville Pickens Speedway on September 6, 2014. A "Sunoco Rookie of the Year" contender, Hill finished his season fifth in the Championship Points Standings. 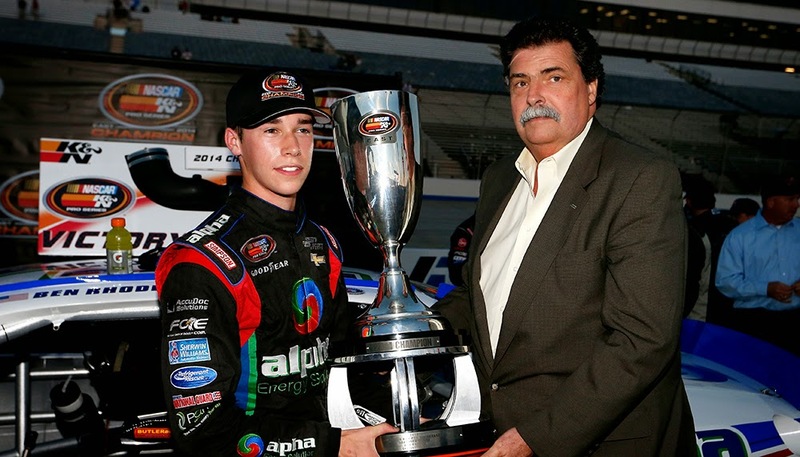 However, seventeen-year-old Ben Rhodes, the winner of both the "Sunoco Rookie of the Year" award and the 2014 K&N Pro Series Championship could only managed a fifteenth place finish at Dover. Rhodes had sealed the series title with a race remaining back on September 6. The NASCAR “playoffs” are heating up! 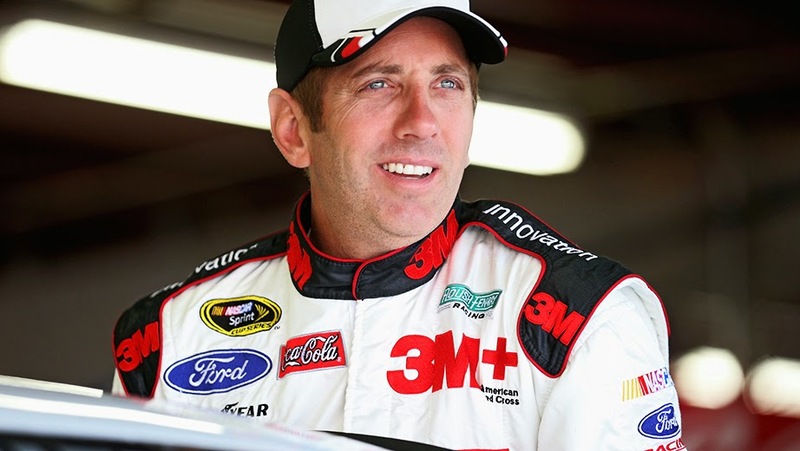 There is just one race left in the Challenger Round of the Chase for the NASCAR Sprint Cup Championship. 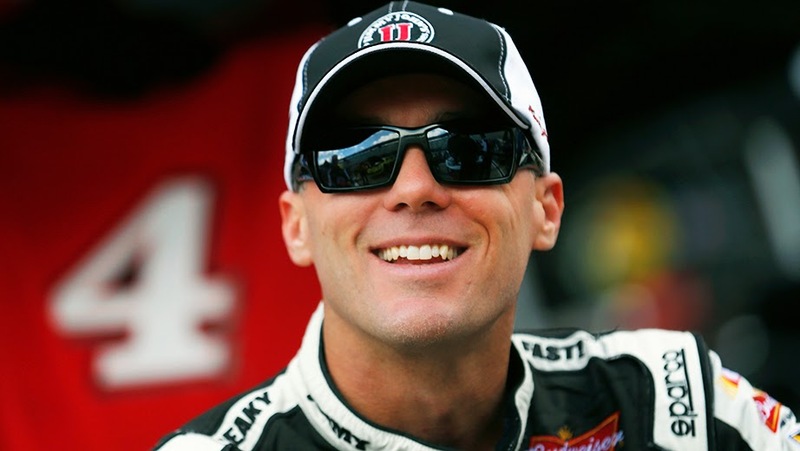 “Freaky Fast” Kevin Harvick grabbed the Coors Light Pole Award for Sunday's AAA 400 at “the Monster Mile” (Dover International Speedway). However, NASCAR Race Mom will be keeping her eyes glued to a pair of underdogs*; the two Double A drivers – Aric Almirola and A.J. Allmendinger. 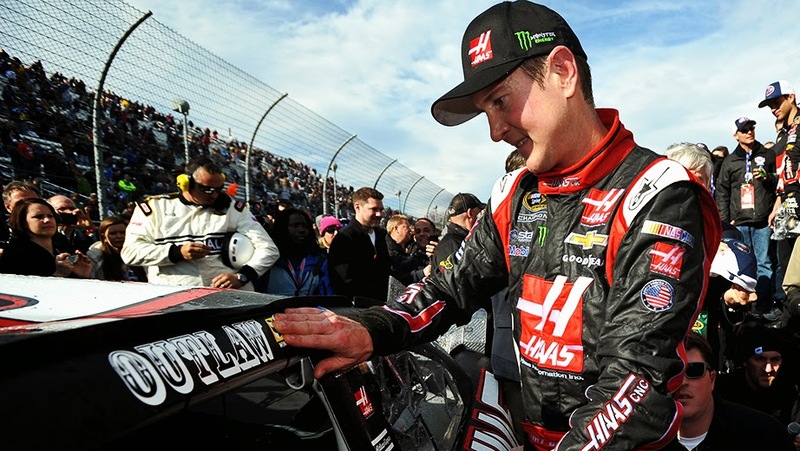 Both drivers secured their Chase berth by virtue of a 2014 race win. 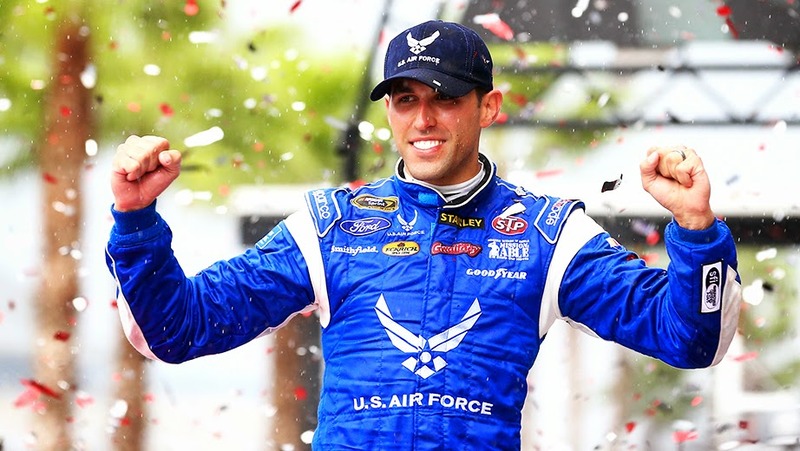 Almirola qualified for the Chase by winning the rain-shortened Firecracker 400 in July at Daytona. Allmendinger’s win on the Watkins Glen road course in August, after a thrilling duel with Marcos Ambrose, landed him in the chase. Talking about underdogs; these wins were the first Sprint Cup wins for each driver. 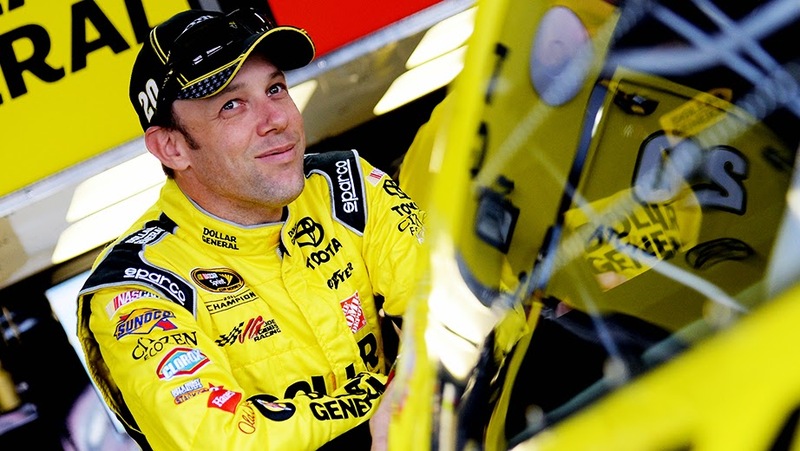 They are also first-time entrants into the Chase for the NASCAR Sprint Cup postseason. 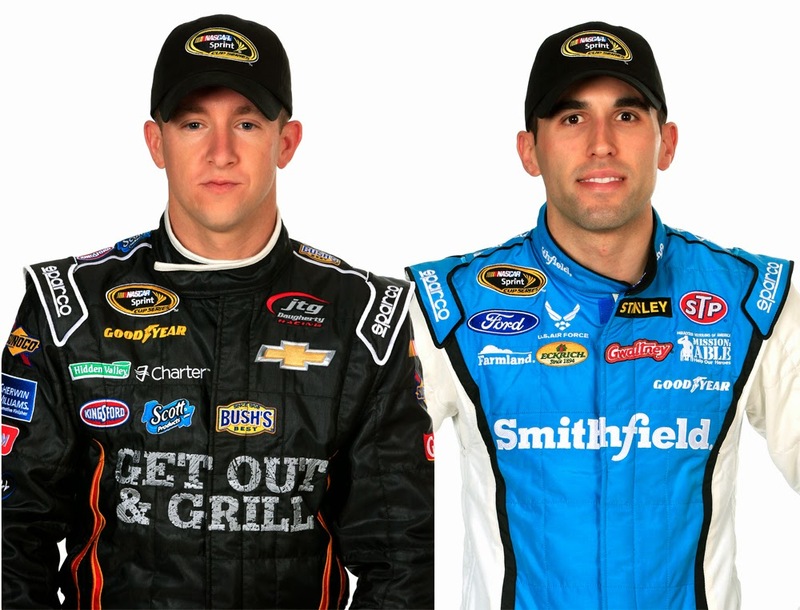 For this weekend’s race, Almirola qualified twenty-first and Allmendinger will start just seven positions back. Unfortunately, AJ Allmendinger’s starting position of twenty-eighth is the worst of the Chase Challengers! With a ranking of 10th after the opening two races, but with just a slight twelve points separating eighth place from sixteenth, Allmendinger will need another solid finish to make the cut. Earlier this month Allmendinger reported, "We've just got to be perfect. We've just got to be at our best." 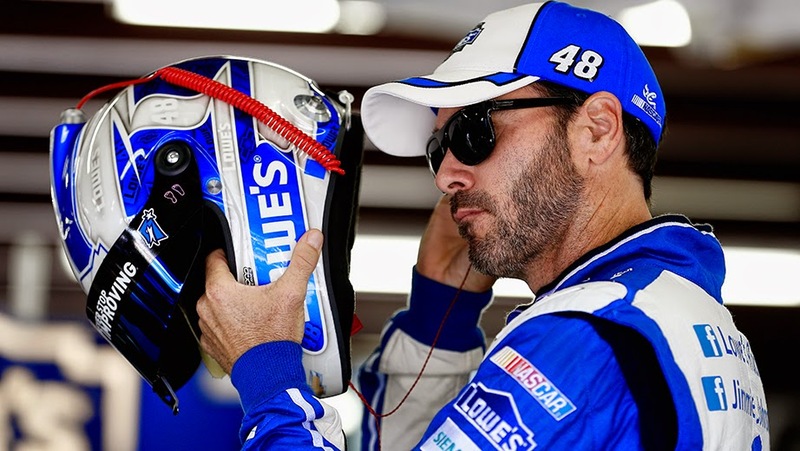 He added, "I look at a race like Dover, depending on how the first two (races) have run, if we have to win it to stay in it, then you start taking some chances." 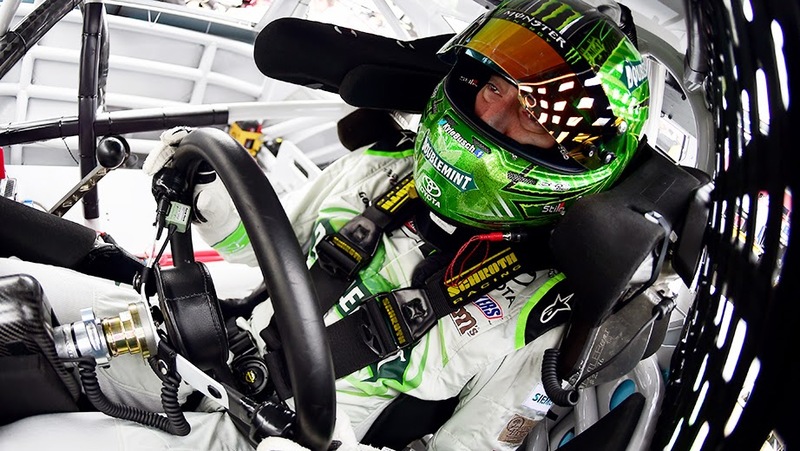 Almirola suffered engine failure in Chicagoland and finished a dismal forty-first. Although he still occupies the last place position in the chase points coming into Dover, he finished sixteenth at New Hampshire Motor Speedway. This respectable finish, coupled with bad luck for many of the chase challengers, is keeping Aric’s chase dreams tangible. With this new chase format, where a win will automatically advance a driver to the next round, only one fact is a certain: both Aric and A.J. will have to achieve the abstract combination of luck and skill to avert the bottom four of the Chase Point Standing in order to advance to the Contender Round. NASCAR Race Mom will be rooting for them both! *Underdog is cartoon character Shoeshine Boy's heroic alter ego. He appears whenever Sweet Polly Purebred, Underdog’s love interest, is being victimized by villains. 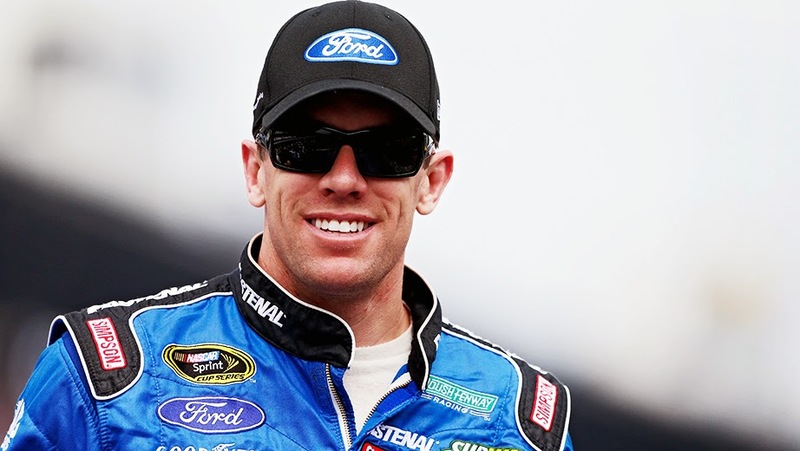 **Track Stats: Since February of 2012, Almirola has an average Dover finish of 15.4 in five races. 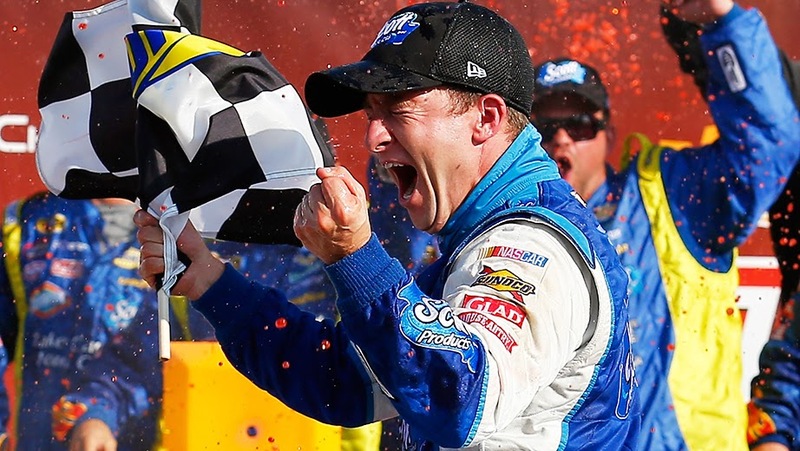 Allmendinger’s average finish at Dover is 21 in three races attempted. 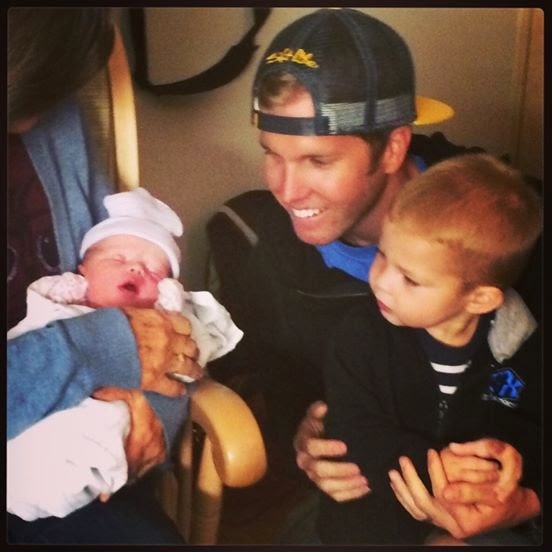 Photo Credit: NASCAR Media Site. BaconSports.com goes behind-the-scenes at the Chase Grid Live followed by a NASCARinGear.com exclusive experience at the track! Love Doctor McDreamy - I got to watch him race a couple of years back. Gosh is Joey Logano old enough to drink already! I think he was just 17 years old when I met him. In part two of #BartenderBrad, Keselowski goes behind the bar to answer teammate Joey Logano's life question. Waltrip wore a Bikini in week two of "Dancing with the Stars." See the results show tonight at 8 p.m. ET, on ABC. Three-time NASCAR champion Tony Stewart will not be charged with the death of a fellow driver at a sprint car race in upstate New York, prosecutors said Wednesday in disclosing for the first time that the victim had enough marijuana in his system the night he died to impair his judgment. Ontario County District Attorney Michael Tantillo said a grand jury decided against charging Stewart with either second-degree manslaughter or criminally negligent homicide in the Aug. 9 death of Kevin Ward Jr., who was struck and killed as he walked down the track in an apparent attempt to confront the NASCAR veteran after their cars got tangled up one lap earlier. "There is toxicology evidence in the case relating to Kevin Ward that indicates that at the time of operation he was under the influence of marijuana," Tantillo said. "The levels determined were enough to impair judgment." Tantillo also said two videos - one from a fan, the other from the tiny track in this New York hamlet - had been examined and enhanced. Both showed Stewart did not do anything wrong and that there was no "aberrational driving." NASCAR spokesman Brett Jewkes said there were "no winners" in the accident and expressed support for Ward's family and Stewart. 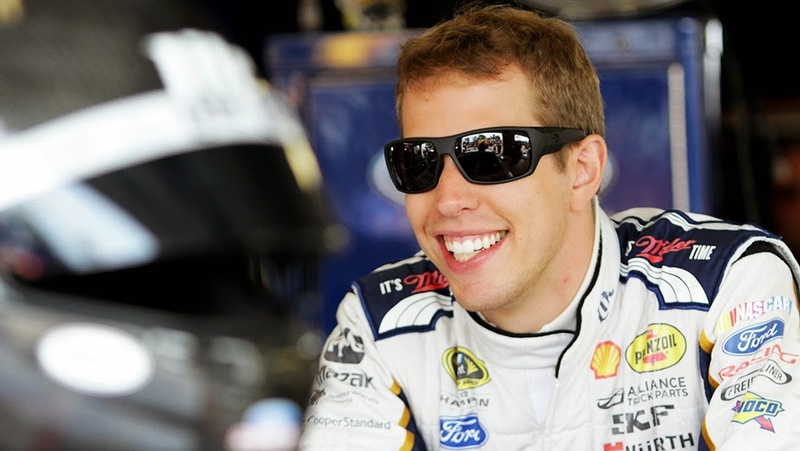 Current Chase leader and 2012 NASCAR champion Brad Keselowski tweeted after the marijuana disclosure: "Can't believe what I'm reading about Tony Stewart's case. Why didn't they release this sooner?!?!" Jewkes is correct - there were "no winners" in this incident. Although deeply saddened by the Ward Family's loss, NASCAR Race Mom is very relieved that Stewart will not face criminal charges. 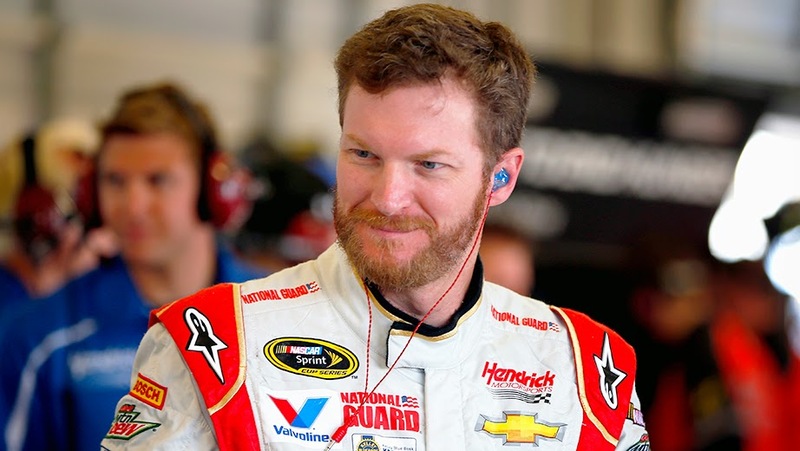 "This Chase, I'm telling you, this thing is intense," Earnhardt said on "The Dale Jr. Download" as part of Dirty Mo Radio. He later added, "I think these rounds are harder than I anticipated." NASCAR Race Mom has to agree with him. The new chase format has really increased the intensity and entertainment value of the NASCAR Sprint Cup's last ten races to the Championship. NASCAR Race Mom is hoping that underdog A.J. Allmendinger can avoid disaster in Dover to advance to the next round. 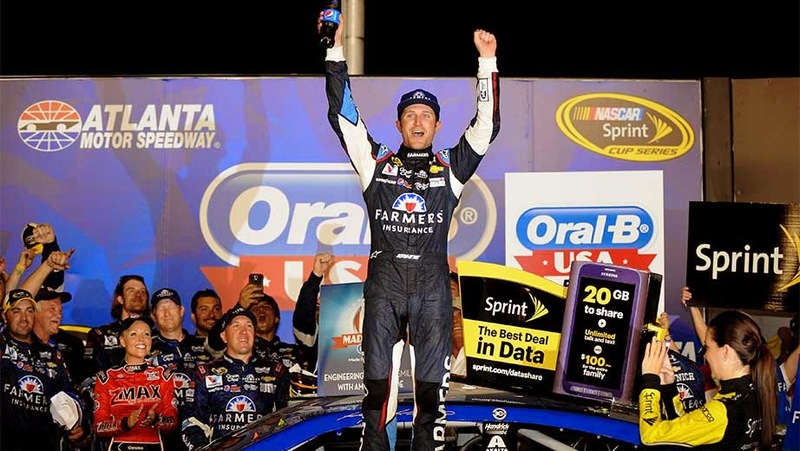 "We're digging," Allmendinger said Sunday after a 13th-place run at New Hampshire Motor Speedway. "We're trying to be the little team that could." 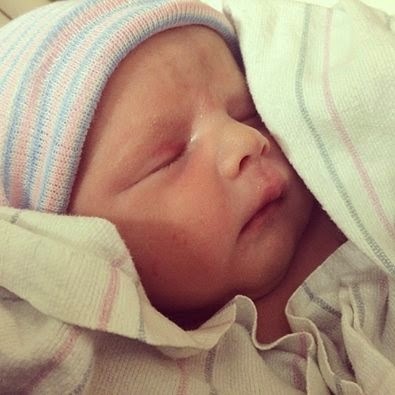 Congratulations to the Koch Family. 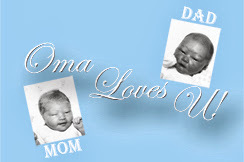 Congratulations to Mom Shannon Crytzer Koch, Dad Blake Koch and Big Brother Carter. Blake Koch is an American stock car racing driver. 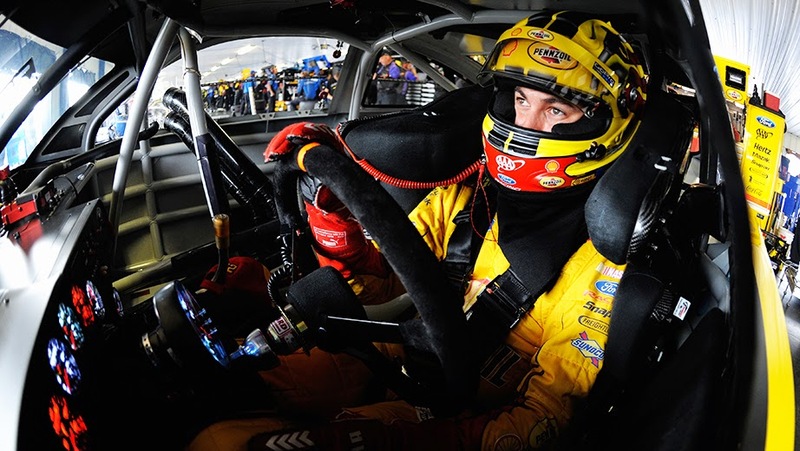 He currently competes full-time in the NASCAR Nationwide Series, driving for TriStar Motorsports, and part-time in the Sprint Cup Series for Go FAS Racing. 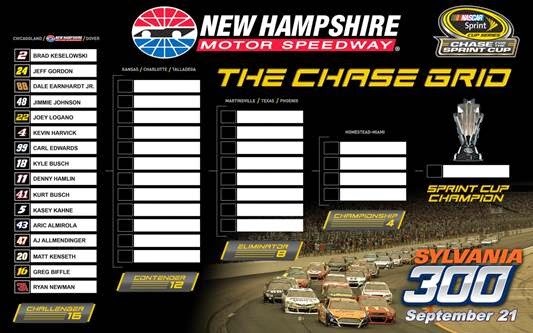 New #NASCAR Chase Format - Excitement! 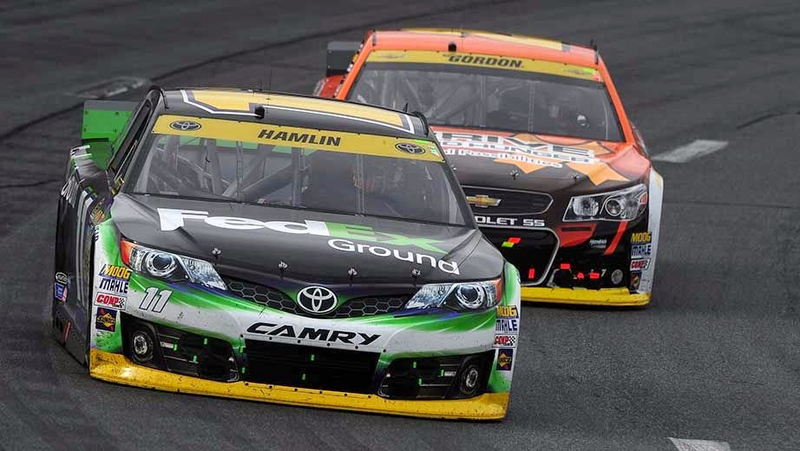 The 2014 Sylvania 300 provided a plethora of racing excitement. NASCAR Race Mom has to admit that the new chase format keeps the competition tense. difficulties in the Sylvania 300. There are sixteen Challengers heading to Dover International Speedway this weekend. However, only twelve Contenders will remain when the checkered flag flies on the AAA 400. Nine drivers are within sixteen points of the twelfth and final spot to advance to the Contender Round in the Chase for the NASCAR Sprint Cup. Only eighteen points separarate eighth place from sixteenth place. As it stands now, only Penske teammates, Brad Keselowski and Joey Logano have advanced, by their win, to next round. The other fourteen drivers are still not sure of their position in the chase. 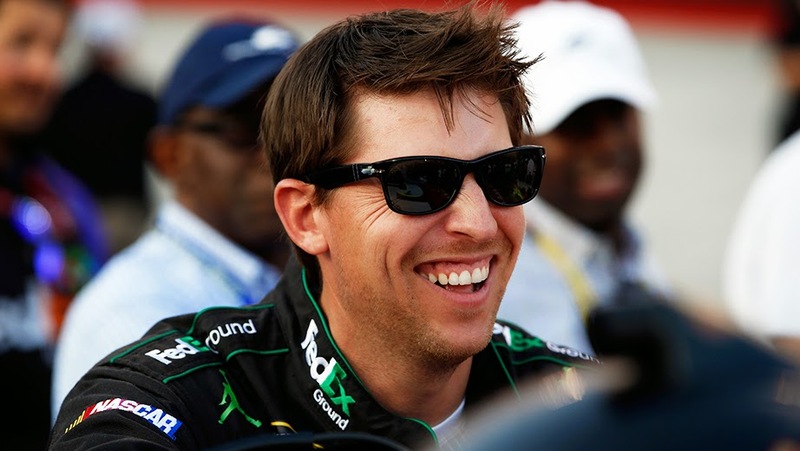 Denny Hamlin, Greg Biffle, Kurt Busch, and Aric Almirola will need to rally to keep their championship hopes alive, with a win being their surest ticket to continue their Chase battle. It will be interesting to see just how aggressive these "Chase Bubble" wheeled warriors emerge. NRM is surprised yet thrilled to see AJ Allmendinger in tenth place.